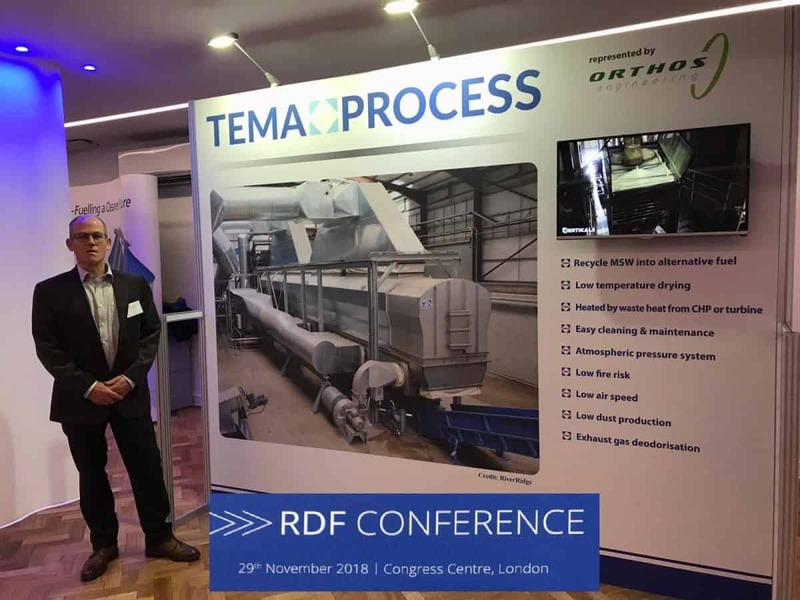 RDF Conference: TEMA Process and Orthos Engineering. The RDF Conference has established itself as one of the key must-attend conferences for all those operating in the RDF, SRF and Energy from Waste sectors. With a programme shaped by the industry, this event is designed to provide you with key guidance and discussions honing in on the most pertinent issues. Utilizing our knowledge and long experience in the design and supply of tailored solutions for the drying of bulk materials, TEMA Process, offer Fluidised Bed Drying Systems to treat Refuse-derived fuel (RDF) boosting its caloric value. Fluid Bed Dryers are used for the continuous drying of a vast array of Bulk Solids Materials, SRF, RDF, Biomass, Sludge’s and Digestate.